Frostburg State University’s A STAR! 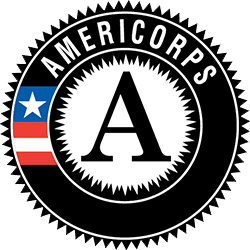 in Western Maryland AmeriCorps program will hold the 23rd Annual Book and Resources Giveaway from Saturday, April 14, through Wednesday, April 18, from 9 a.m. to 4 p.m. each day at City Place, 14 S. Water St. in Frostburg. The public is invited to choose from a large variety of books and other resources at no cost. This event, open to the public, will feature new and gently used books of all genres and for all ages. Participants may take as many books as they like. Supply is limited, so those interested are encouraged to arrive early. This event is funded in part by the Governor’s Office on Service and Volunteerism and the Corporation for National and Community Service. For more information about the Book and Resources Giveaway, contact Joshua Mallow, Read to Succeed! program coordinator at FSU, at jnmallow@frostburg.edu or call 301-687-4191. The A STAR! (Appalachian Service Through Action and Resources) Program was established in 1994 and has provided direct, substantive service programs that improve the literacy of children, enhance the health care and living conditions of children and elderly people, help at-risk youth by offering after-school programs, improve shelter and support services for low-income families and preserve the environment for Western Maryland communities.